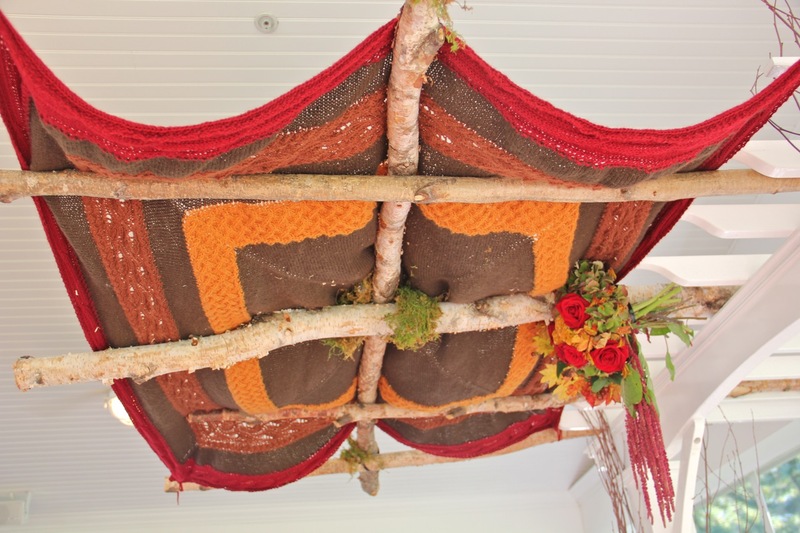 It’s a Wrap: The Chuppah-Cabra is Done! 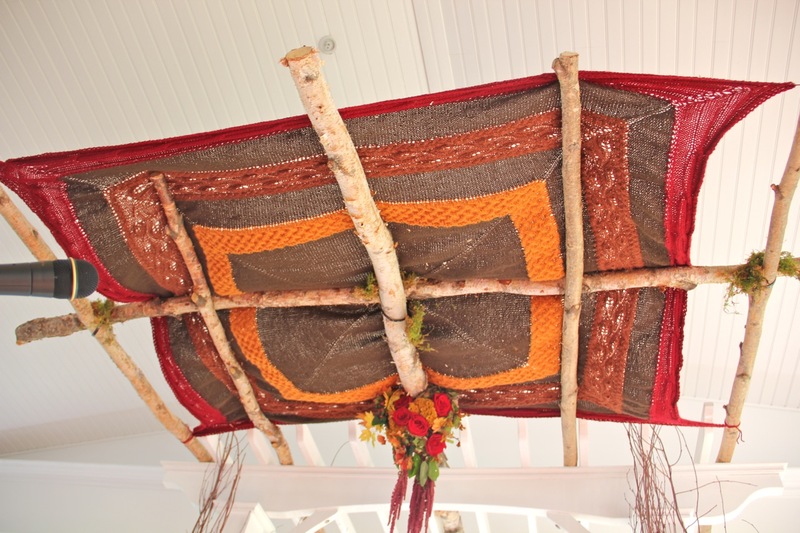 The Chuppah-Cabra is complete! After a mad four day knitting binge, it’s finished and delivered! Yes! It came very close at the end, there were lots of late nights, early mornings, pots and pots of coffee, some tea, some tears and eating eggs-in-a-basket at 3:00 am. 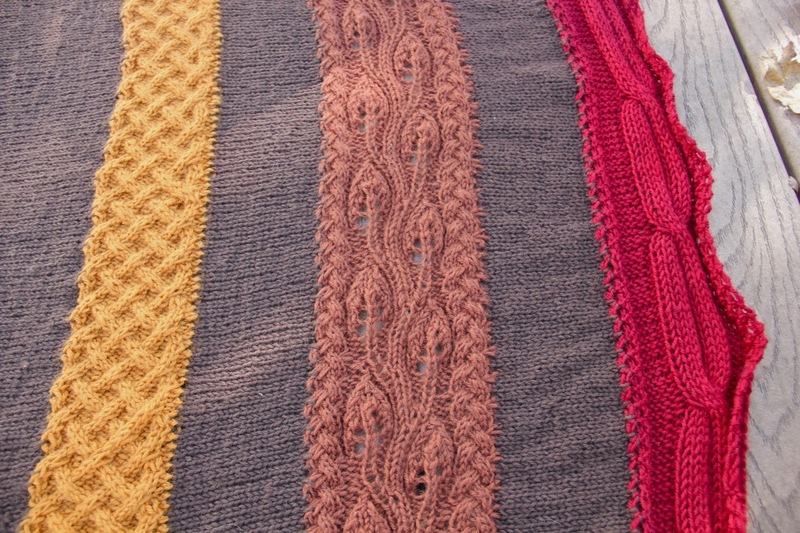 The outermost red border are two crossing cables representing Alana and Becca’s separate lives coming together. The border of branches and leaves is for their ever-growing family to come. The inner border of many crossing cables symbolizes all the people who have been brought together by their love. It’s the community that they have formed around them. 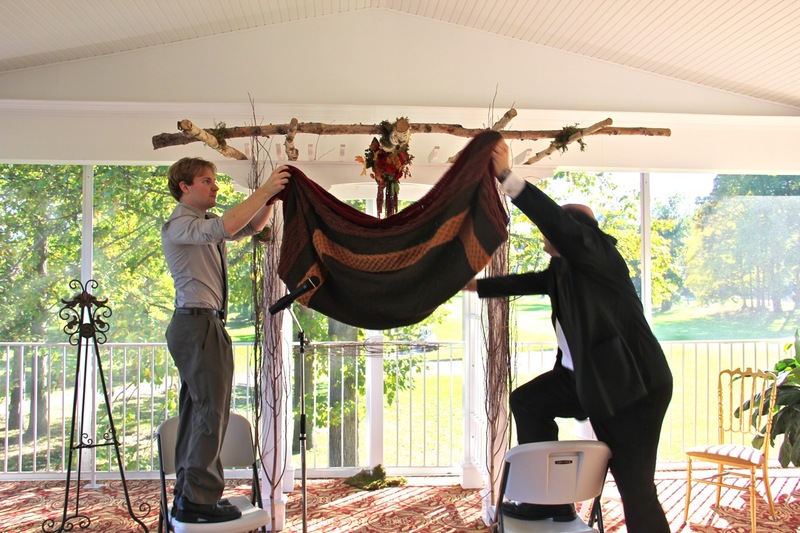 The chuppah came in a little bigger than 5′ square and required four people to stretch it to it’s full size of 6′. 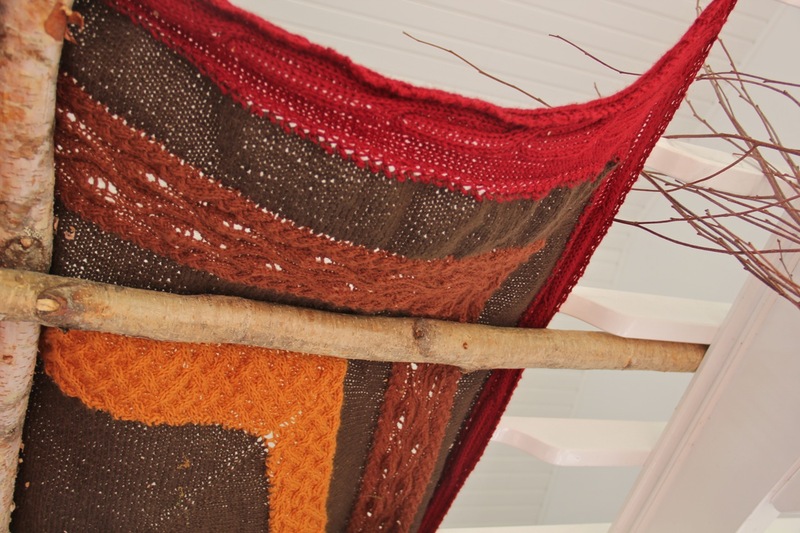 There was a birch branch structure to hang the chuppah from, not the four poles that I was planning for, but with my emergency yarn kit (don’t laugh, it not only hung the chuppah, but also saved a bridesmaid’s dress later), we made it work. The final yarn usage count was 23 balls of yarn AKA 3151 yards AKA 1.79 MILES of yarn. The red yarn, which I worried was too bright, matched their flowers perfectly. It was completed mere hours before the ceremony (and no, I was not knitting it as we drove, contrary to most bets). 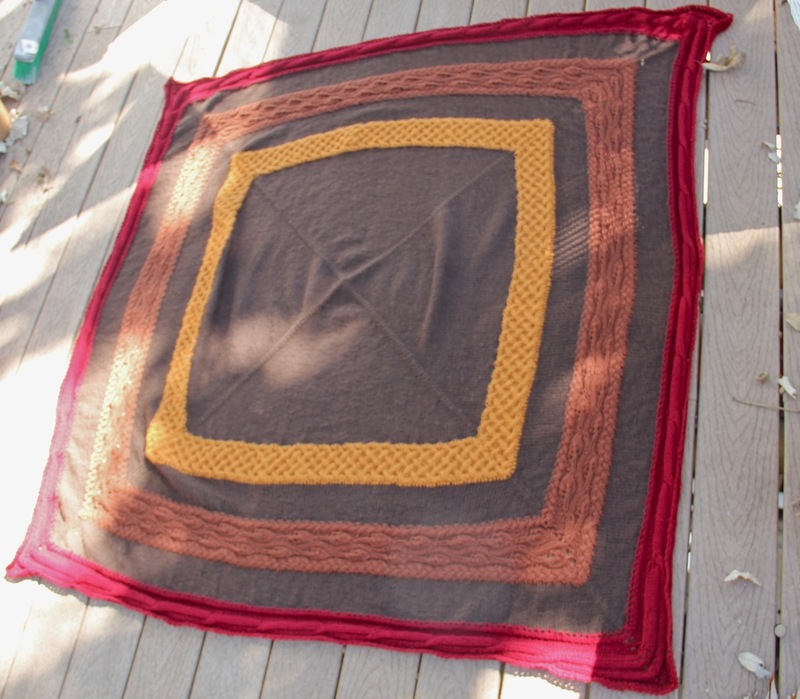 Would I knit another chuppah? 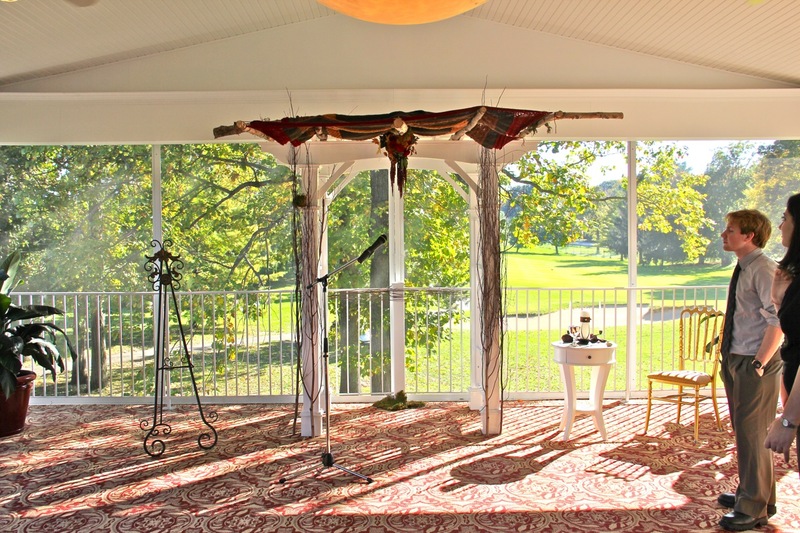 I think I would, if I started knitting several months earlier and had time to design the chuppah to match the couple. 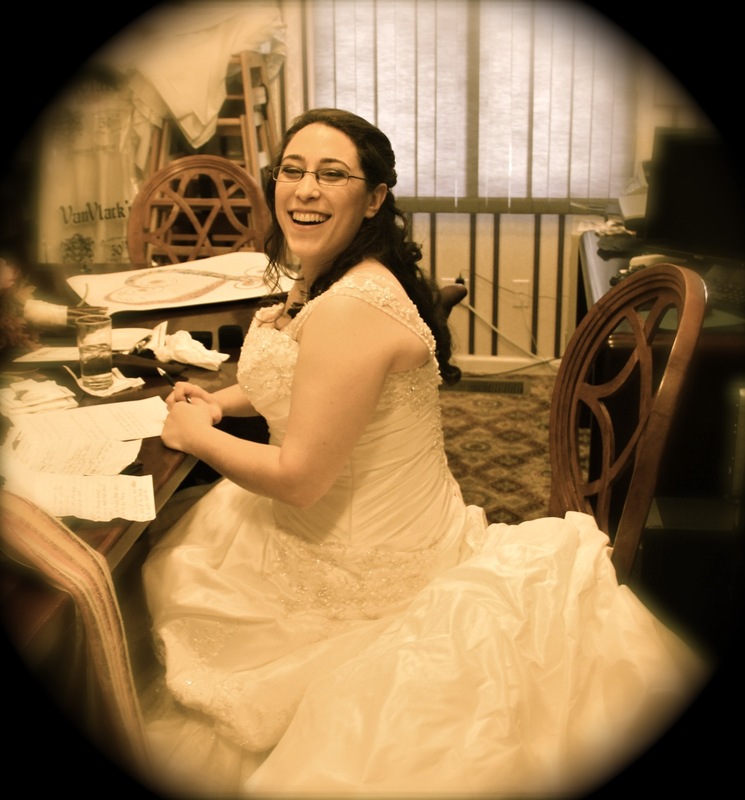 Being an integral part of someone’s wedding ceremony is an incredible honor and I feel connected to their future. It will be at least another week or two before I even feel like knitting a simple baby hat or scarf though. Sarah, you are the best!!! 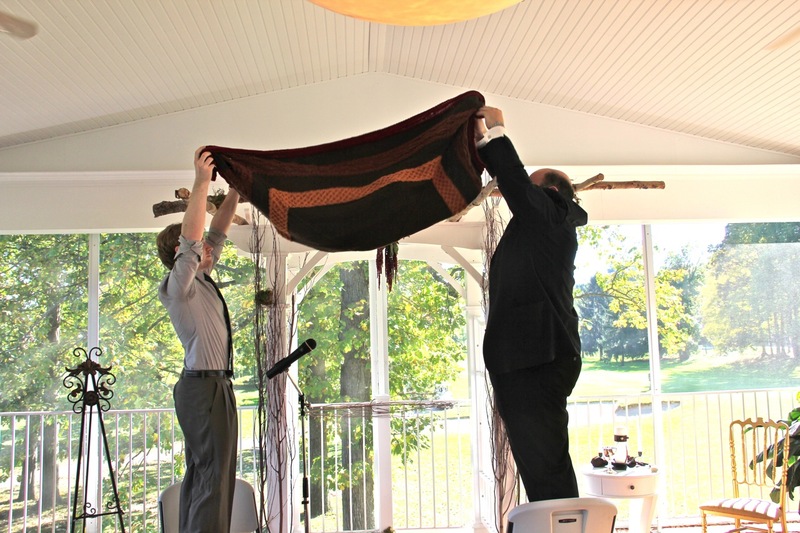 you made our ceremony even more special by knitting this chuppah for us and our family to be. Standing underneath the chuppah you nitted with becca brought more joy to me than you can imagine and the fact that it came from a close friend like you made it even more meaningful. We love you sarah thank you for all that you have done for us. And Jon, thanks for taking care of Sarah so we could have this for our special day. Alana, I’m so honored to be such a part of your wedding and I’m glad (and relieved) that everything worked out so much better than I imagined. And, I’ve already had several friends “put me on notice” for their weddings. Thankfully, none of them are seriously dating anyone yet. I’m almost ready to start knitting again. That chuppa is amazing! 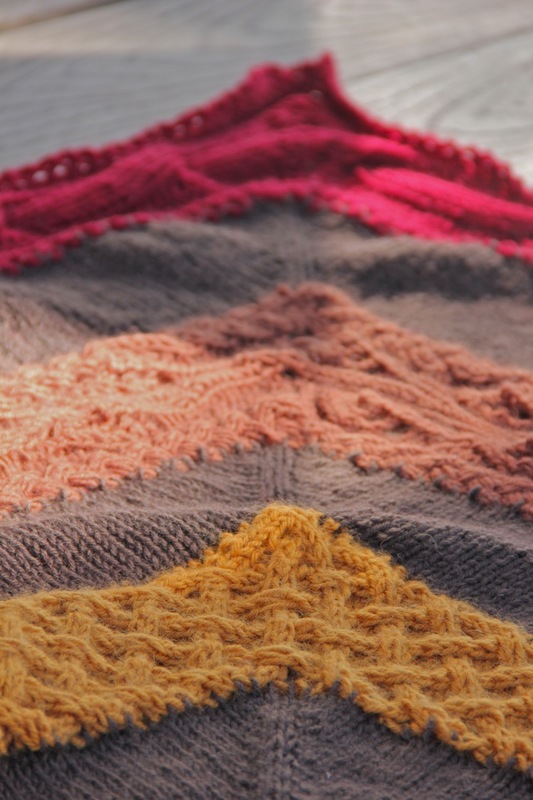 I’m making one for my cousin this summer but I’m not sure I could take on such a hefty knitting project. Beautiful! I would love to see the chuppah that you’re working on. I didn’t see it on your blog, but I’m pretty sure it falls in the “good deed” category. My best advice is to start really early because there will be days (or weeks) that you just need sometime apart from the chuppah. Good luck with it!